Bangladesh’s apparel exports to some potential non-traditional markets declined during the first quarter of the current fiscal year, thereby undermining the move to diversify the country’s export base, sources said. Exports to Turkey and Mexico marked drastic drop by 37.54 per cent and 17.69 per cent respectively while to Japan fell by 0.44 per cent. On the other hand, shipments to Australia, Chile and South Africa recorded a slow-pace growth of 4.15 per cent, 3.49 per cent and 2.84 per cent respectively. The total exports of readymade garment products to the new markets grew by a meagre 0.17 per cent in the July-September period of 2014-15 fiscal year, according to official data. Loss of the GSP trade benefits in the USA in June 2013 and uncertainty about continuation of the GSP in the EU market, due to the European Commission’s attention for improving occupational safety and health, labour rights and other legal compliance left Bangladesh with no other option but to look for new export markets. Bangladesh’s major trading partners the EU and USA continue to press for improvement of those issues, which led to some progress in the legal and social compliance. The environmental compliance is not demanded by those markets yet. Apparel manufacturers attributed last year’s political instability, tragic industrial incidents in tandem in the sector and the safety-and-compliance issues to the sluggish growth. The new emerging markets are Australia, Japan, China, Chile, Brazil, Japan, Russia, South Africa, New Zealand, Malaysia, Korea, India and Turkey. 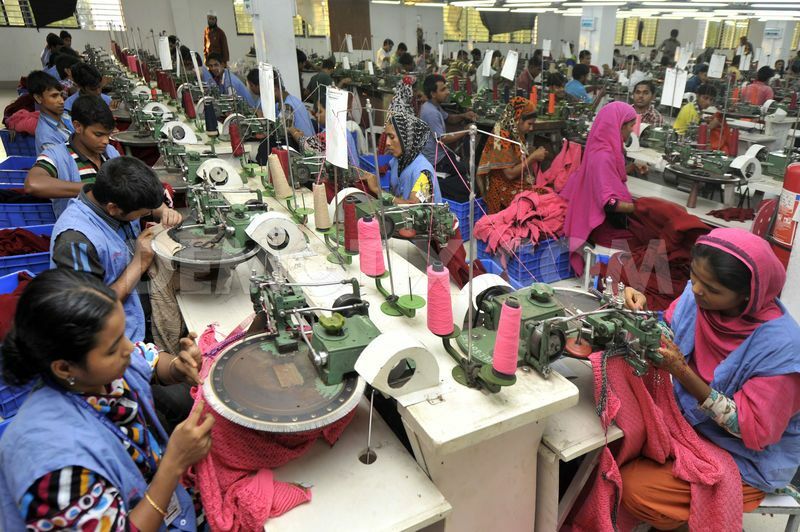 They are beyond the traditional export destinations like the USA, Europe and Canada, which buy more than 90 per cent of Bangladesh’s readymade garment products. Bangladesh exports to the new destinations had witnessed growth by more than 20 per cent since 2011-12 till 2013-14 fiscal years. Export earnings stood at $932.29 million from those markets during the first quarter of the current fiscal year.